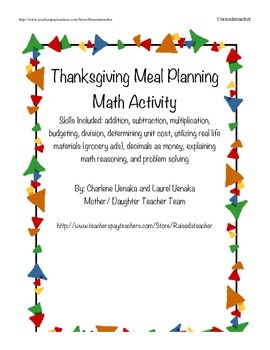 In this fun and reality-based activity students work in pairs or alone to plan a Thanksgiving meal within a $50 budget. 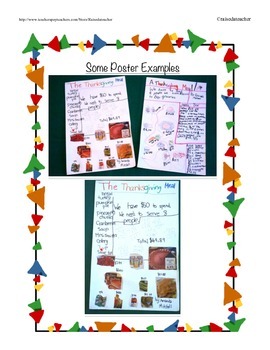 The students utilize grocery store advertisements to find items that must be included in a meal for eight people. 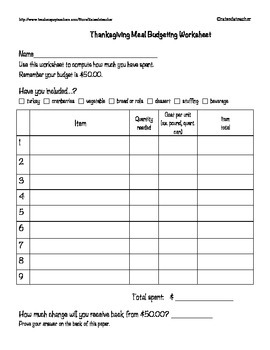 After planning their meal and completing a budget spreadsheet the students make a poster explaining their thinking and proving that they have met the goals of planning a meal within the $50 budget. I do this activity every year with my class. The students are always excited and motivated. They are able to work on skills involving multi-digit addition, multiplication or repeated addition as well estimating and mathematical reasoning. Students are asked to prove and explain their math thinking. I have always done this project with third graders. The project took two math periods and the students worked in pairs. The activity could be done individually by fourth or fifth grade students or third graders with strong independent work skills. 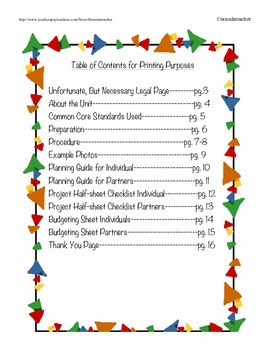 I have two versions of the activity worksheets one for working with a partner and one for working alone.